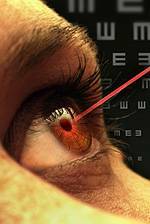 Looking for LASIK Near You? | Look to Battle Creek Eye Clinic! The eye doctors at Battle Creek Eye Clinic have extensive experience in the pre-operative evaluation and post-operative care of LASIK and other vision correction procedures.